Juniper first AID!!! Urgent Care!! 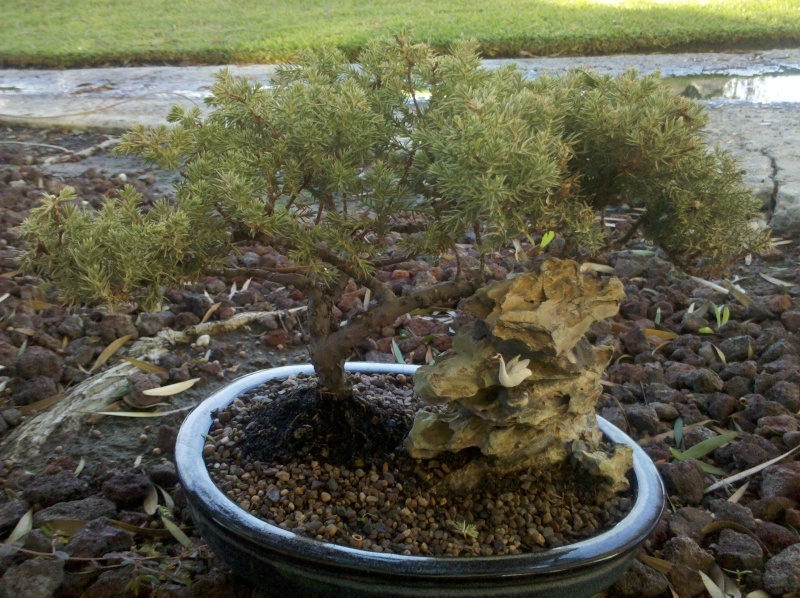 This is a Juniper from a friend of mine, apparently he left the poor bonsai without water for about 4-5 days. That was about 2 months ago, while we had a 100f+ weather here in SoCAL. Since then it started to dry out (if its not death already!!) He's been watering it everyday and try to keep it outside as much as possible. Is there anything else that we can do to try to save it? The pictures are from today AM. 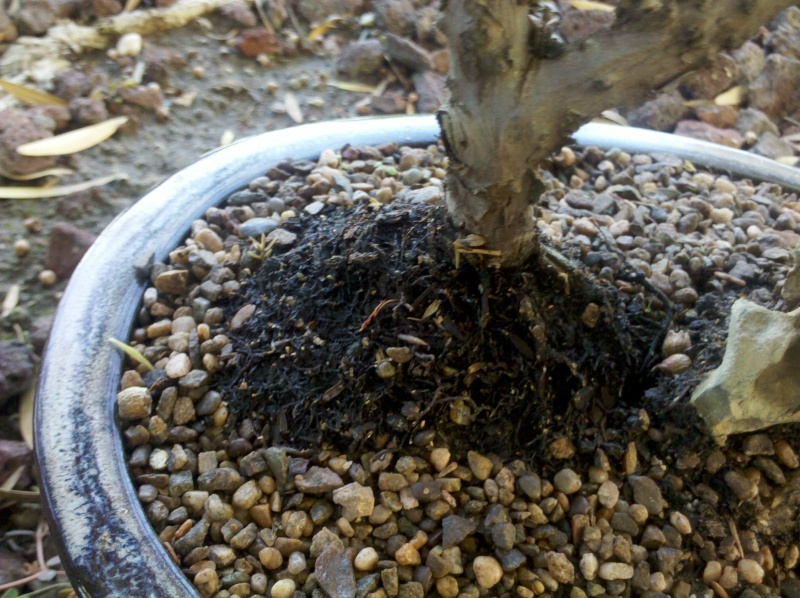 Please let me know if I can still do something for it or if I will just be wasting my time and this bonsai is beyond my hands. 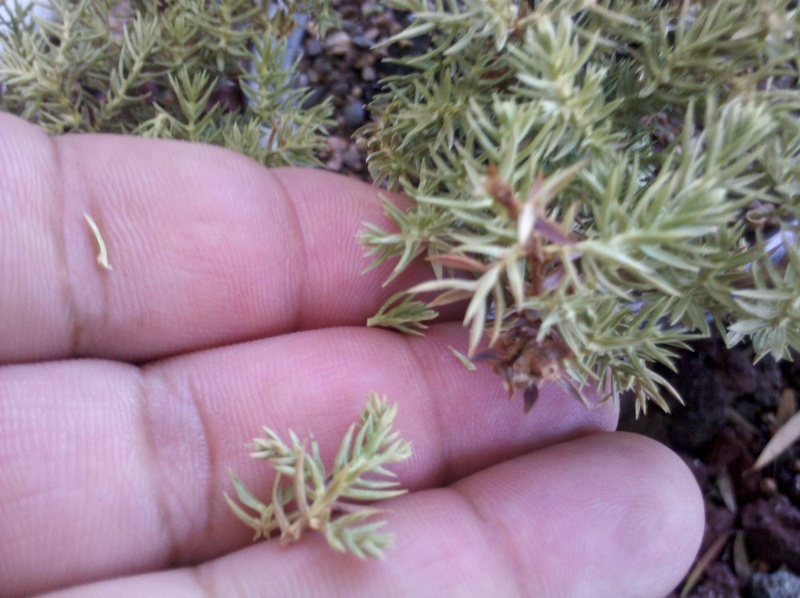 Re: Juniper first AID!!! Urgent Care!! I bet the farm that this is a gonner. Sorry. I agree. Dead. Think about a Christmas tree cut six weeks before Christmas and still green in late December. If the drying out didn't kill it the subsequent overwatering did. Sorry for your loss. But, keep the rock and pot and try again!